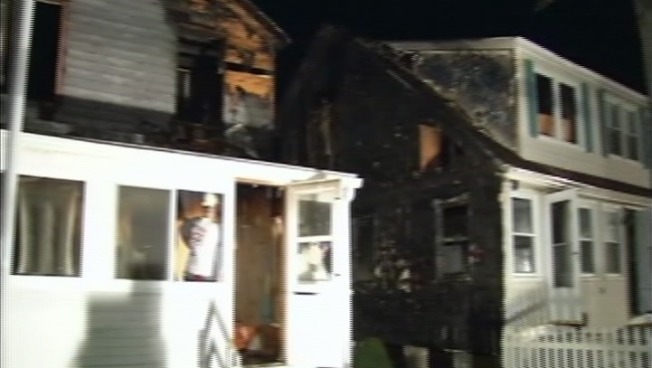 A fire destroyed one cottage and damaged another in Old Lyme Monday evening. It took five fire departments to contain the flames that destroyed one cottage and damaged another in Old Lyme on Monday evening. The fire started around 6:30 p.m. on Hartford Avenue and flames jumped from one building to another so easily because the homes are close together, fire officials said. Firefighters got the flames under control about an hour after it started. The homeowner wasn't there when the flames broke out.